Empfangshalle / News » Value of a 1953 Regina? I hope it is OK (again) with me writing in English on this marvelous forum :-) Seems this forum has found a new place/home since the last time I logged on. Since Sweden is a part of the EU it is easy to have it registered in another EU country. I also know of a reliable truck owner up here that transports bikes down to the South of Sweden every week so shipping would not be a problem. But what could an approximate value be of a 1953 Regina in *really* good condition? 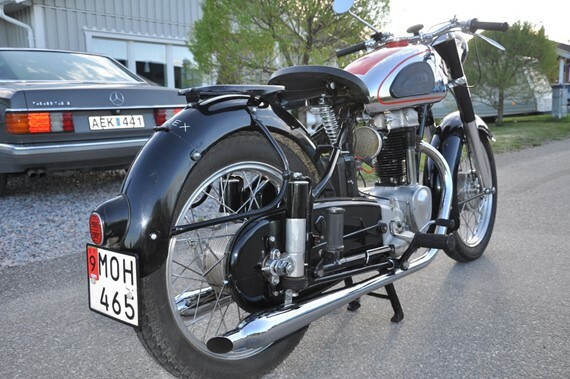 It has spent it's whole life up here in the North of Sweden and was professionally restored in the mid-80'ies without no expenses spared! Everything, and I mean everything, was brought up to like-new condition! Some claim that it even was "over restored". After that it was not driven until a few years ago when I bought the bike from the estate of previous owner had passed away. It had been stored in a dry and heated garage all of these years so it was more or less only dusty. I had to replace all fluids, have the carburetor and ignition gone through as well as the front forks. And the tank had been treated with some sort of epoxy on the inside and that had started to peel away so I had to clean the inside of the tank with acetone and during that process there was a small "wrinkle" damage to the paint around the gas cap. So anyone here that could help me make a qualified guess what the bike could fetch if advertised say in Germany? 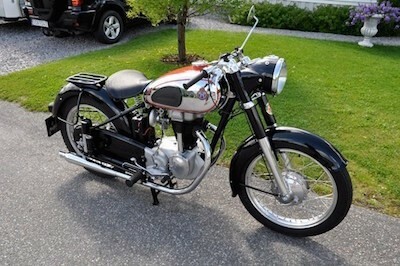 I also have a Regina 3 - 1953 (350 ccm) and bought it in 2011 in a good technical condition for about 5.500 €. Nevertheless there has been a lot of work after I bought it (painting, brakes, bearings....). In total we are talking about an invest of around 8.500 €. I dont´t know where your pain barrier is and how many time you have but in that that times (when interest rates are going to 0%) it will be better to wait one more year. It´s only my personal opinion and I´m sure we have longer lasting specialists here in our forum who can also give you tipps. 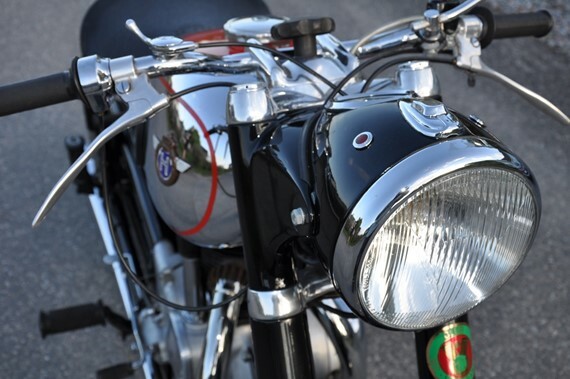 for me it is a bit difficult to evaluate your motorbike precisely, based on such a few informations. You should kindly give us some more detailed fotographies here, and provide your numbers of frame and engine. the first two ciphers/characters as well as the last four are sufficient, e.g. 03......1153. 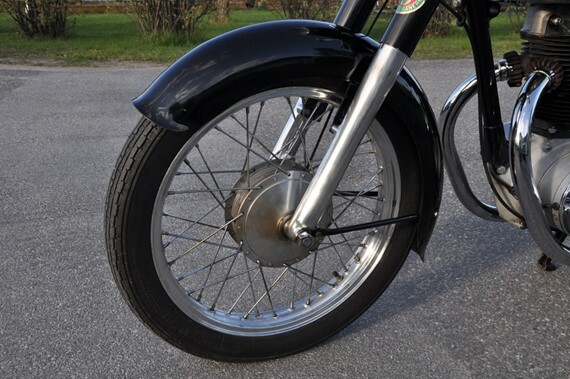 In the particular foto you linked, I identify aluminum rims and the mudguards as typical for a Regina of the 03 type (third production series); they could also have come from 06/400cc. But the cylinder head is clearly visible as made from cast iron, which had been used only in the first and second (01) series. 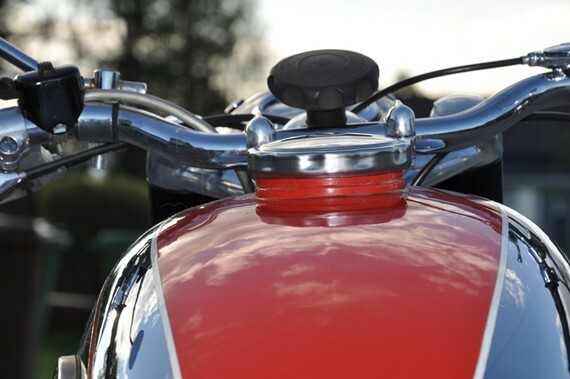 As well, the mufflers are those used in series one and two. It would also be a a value-adding fact, if engine and frame numbers are identical. This would be a proof, that the bike was not rebuilt by mixing parts from a garage collection. A Regina 100% close to the works specification of it's series will of course represent the highest value. From my point of view it is in really good condition, there is a small paint damage by the tank lid and the horn does not work. 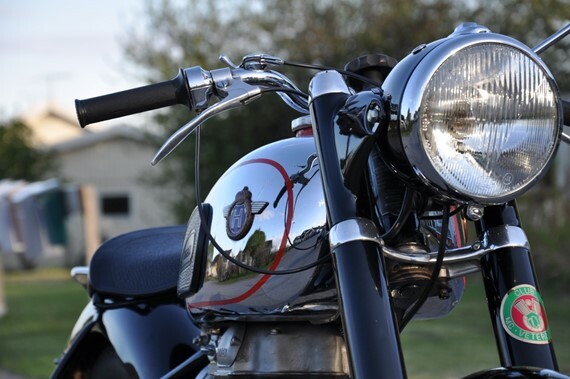 I have looked at some web sites with Horex motorcycles for sale and I think I would be happy to get 6/7000 Euro for it. It will cost a few hundred Euros to ship it down to Germany/Holland and also there are some small fee's to get it into the system down there - but the latter should not be a problem. It is really easy to get a bike imported say from Germany into Sweden and get it approved. well, now it seems possible to evaluate the bike roughly. 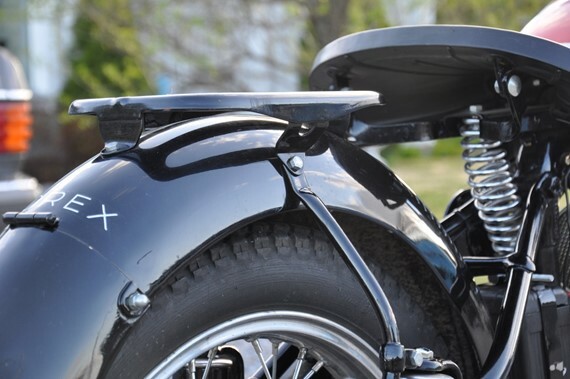 The mudguards presently mounted look like the later version from 03 or 06 models. 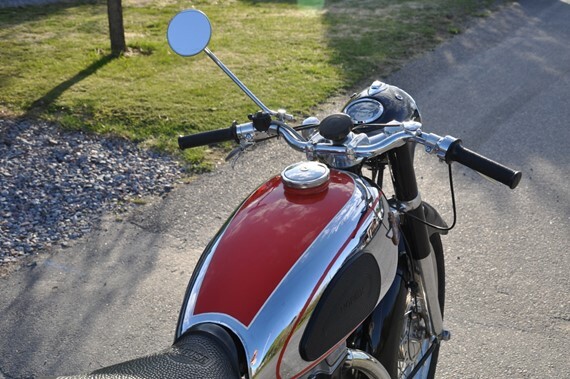 But, Horex sometimes mixed parts from different models during a particular transitional period, so it is not absolutely sure that the mudguards are not original. Fortunately, the equality of frame and engine numbers increases the bike's value. The cast iron cyl. head ist the correct one for model 01. The bike has aluminum rims, which afaik were not used on the 01. If the maker is Weinmann, they came from the original manufacturer, leastwise. If they are stamped Borrani or Akront, they are not the genuine ones. 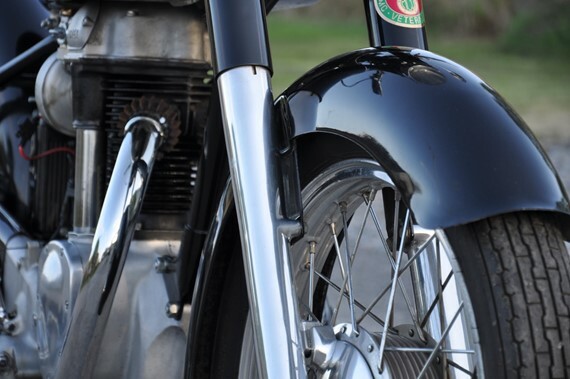 The exhaust pipes are of the dual-radius type. 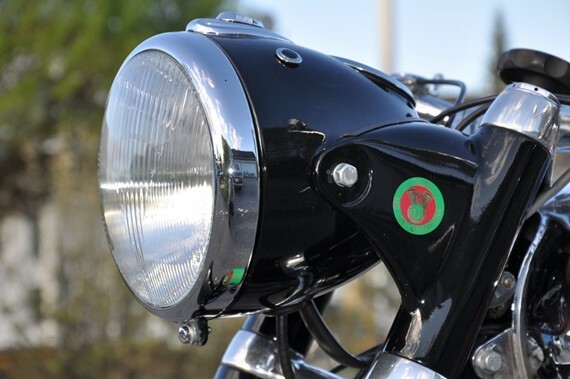 This shape was not used by Horex, but adapted by one or more present manufacturers of pattern pipes. 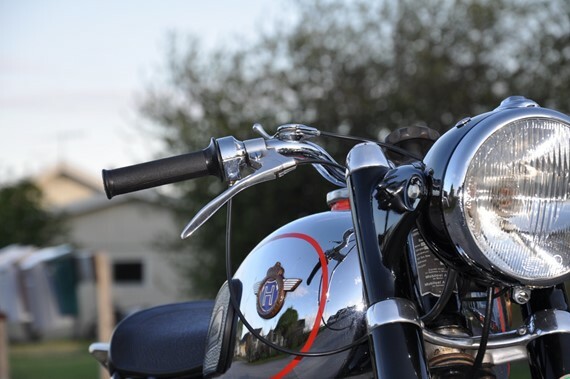 Some Horex enthusiast do not like them, they prefer the continuosly bent style (singular large radius). I spotted 3 further deviant details - the light switch/horn button, the chrome-cap on the ignition switch, and the making of the 2 colored little windows for idle-gear and charging lamp. As no photos with fully lateral views are provided, further differences to the original state of a 01 Regina can't be identified. Especially the mufflers are not clearly visible. The 01 was ex-works equipped with short mufflers with slanted ends, and long pipes. Generally, the bike seems to be in a very good physical condition, well-tended. A further value gain would be, If bills for spares and work, fotos and reports about the old restoration are still existent. If the quality of the restoration can be proven by facts mentioned, from my point of view your price estimate is absolutely correct. The parts catalog does not mention aluminum, but chromed steel for the rims. However, Weinmann aluminum rims may be used for the late 01 model's production run. 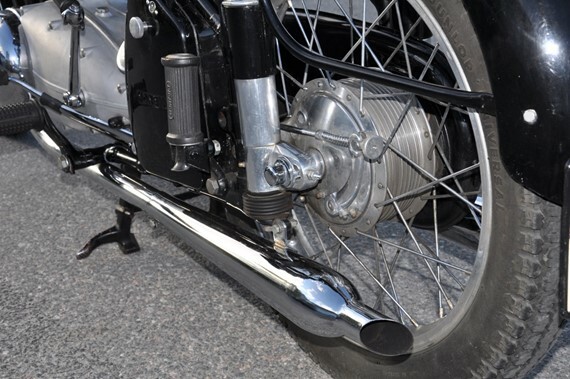 If I personally would be interested in the bike, the engine's technical condition would be of highest interest, i. e. piston/cylinder, crankshaft and bearings. It's a pity, that the restoration was not documented, so finally the price depends mainly on a potential buyer's trustfulness. best wishes for a successful sale r.
the wheel rims marked Weinmann are also original for a 01, they could be ordered since 10.1952.